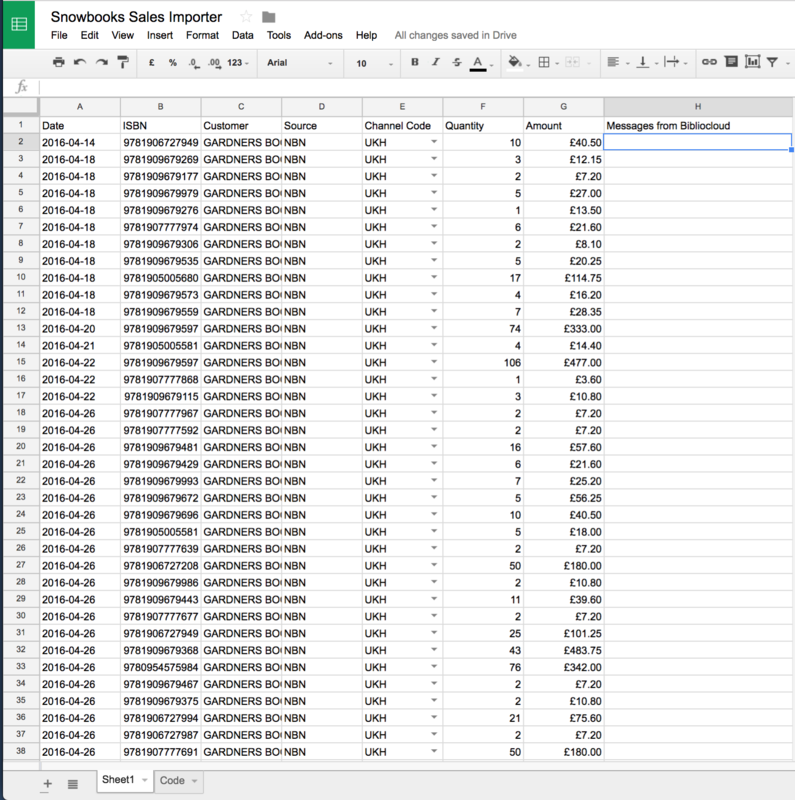 Add sales records manually to Consonance, or upload them from a spreadsheet. First, please contact us so we can set up a Google Sheet template for you. Why do we use Google spreadsheets? We use Google Sheets because it is a more efficient way to import spreadsheet data than uploading a file. Consonance also populates the channel cell with the right sales channels that you’ve already set up so there is no confusion about which of your sales records belong to which channel. We will send you a link to a spreadsheet which will look like this. Copy and paste data into this spreadsheet. Once you are done, raise another support ticket and we will import it and tell you if there are any errors. Add opening balance records and ad hoc sales transactions one-by-one. Go to Financial > Sales transactions ⤴. Click the Add button. Sale value The revenue received. This defaults to your base currency if you don’t provide one. Currency This defaults to your base currency if you don’t provide one. Discount An optional field which is not used in the calculation of the sales value. Invoice date This date cannot be in the future, and it is a required field. Exclude from P&L There are occasions when you don’t want a sales transaction to appear on your P&L: choose yes if this is the case. An example might be if you have an agreement to allocate sales of a product to another work, or omit sales of a particular format – perhaps a promotional edition – from the P&L. Channel Choose from the dropdown.